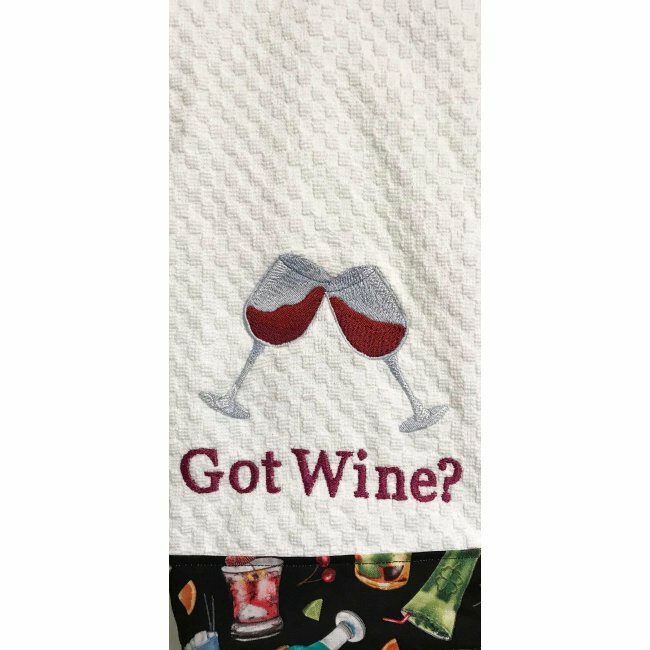 This embroidered Got Wine takes a different spin on our other versions. The embroidered kitchen towel has the same design, but we have added a alcoholic print border at the bottom of the front and back. The towel measures 15 3/4 inches wide by 22 3/4 inches long. This is the only towel with this combination ever made. It makes a great gift for the wine drinker.